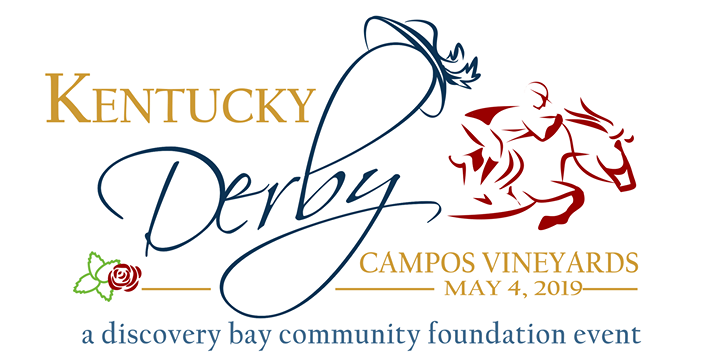 Celebrate the greatest two minutes in sports at the Discovery Bay Community Foundation’s Kentucky Derby fund-raising party! From 1pm -5pm, Saturday, May 4th, you will enjoy music and line dancing by Rhonda Lee, photos with an authentic jockey and through breed horse, traditional mint juleps, hat contest, bocce ball, corn hole, roping competition, great food and drink, gaming fun, collector and vintage autos, games, vendors, raffles, auction items and more !! And of course, the great wines of Campos Family Vineyards. You don’t want to miss this one-of-a-kind community event! Proceeds will benefit the many needs and programs for our schools and community.